I’ll apologize just in case, but the way I see it; Violence begets violence. If we begin arming our teachers, I believe we are escalating into an outright war. School children are already afraid to go to school. Parents are afraid to send them. So is adding more guns to the mix really the answer? And with a teacher shortage in existence already, who will want to join that noble profession aware that they will need to be “packing” to stay safe? There has to be a better way. 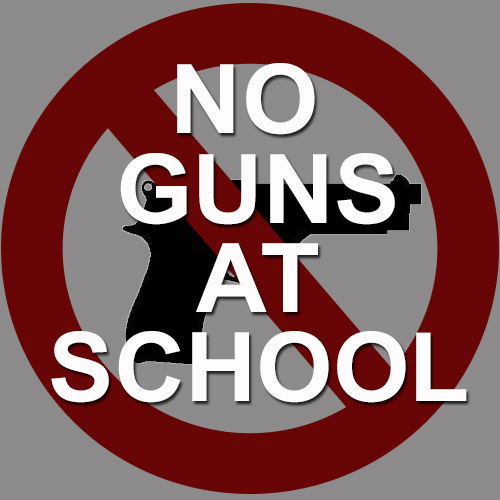 We are also begging to lose students due to mistakes by gun-toting staff. A teacher in north-western Pakistan was cleaning his pistol in the staff room when it fired a bullet by accident, hitting a student passing through the hall. This incident occurred just months after school staff were given permission to carry guns, according to police there. The idea seemed necessary because militants had been invading the schools, but the student died on the spot. We’re talking about education here. WHY are so many of our young people feeling so violent? Are they in such pain that they have lost all connection to life and what it means to take one, or many? How can we help them? Can we replenish their souls so that they can appreciate life? I don’t have the answers, but more guns in the schools? I hope you agree. There has to be a better way.